Offer your staff Escape Game outings at discounted rates as part of their CE benefits package! 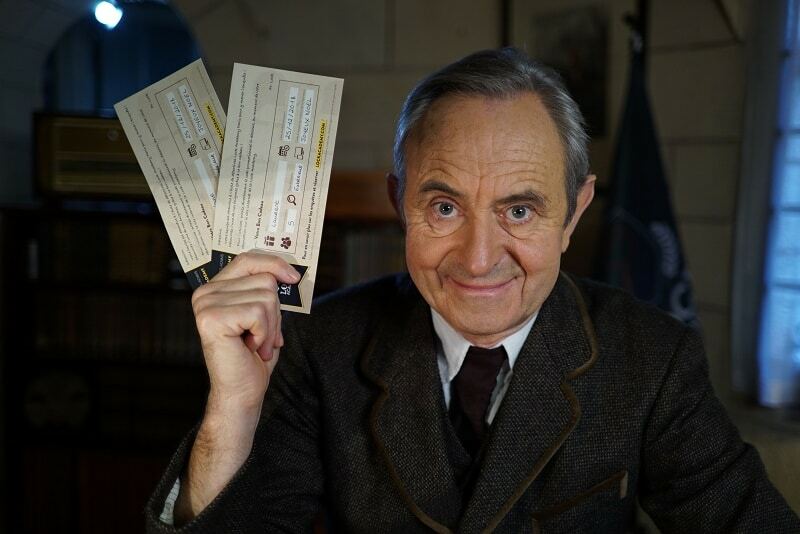 Lock Academy – Escape Room Paris has the ideal voucher offer for your Comité d’entreprise! Take advantage of this amazing offer by bulk purchasing Escape game sessions for your business. With seven mysteries to solve, including 6 in the Academy and one outside mystery in the streets of Paris’ 1st Arrondissement the Lock Academy – Escape Room Paris offers a large range of mysteries which delight parents and children, regular players and newbies alike. Voted best Escape Game in Ile-de-France in 2019, we help teams from 2 to 6 players take part in investigations like a real-life Cluedo! Are you looking to expand the range of activities offered through your Comité d’entreprise employee benefits package? Why not offer Lock Academy Escape Games or treasure hunts?! You can choose one of our Escape Game Team Building packs for group colleague outings, or you could bulk purchase Escape Game gift vouchers and benefit from lower prices! Our gift vouchers are sent electronically, and are valid for 12 months from the date of purchase by the company. There are no time restrictions and each voucher can be user for a team of 2 to 6 people. They can be used directly in the ‘Booking’ section of the Lock Academy – Escape Game Paris website when the beneficiary chooses their game and date, by simply entering the given code during the order. Did you enjoy your Lock Academy experience, and want to share it with your colleagues? Suggest your CE buy Lock Academy Paris gift vouchers, and if they mention you during purchase (name + email), you win a free session for a minimum of 20 sessions bought! You can use this free session on the mystery and at the time of your choice, up to 365 days after the date of purchase by your company.